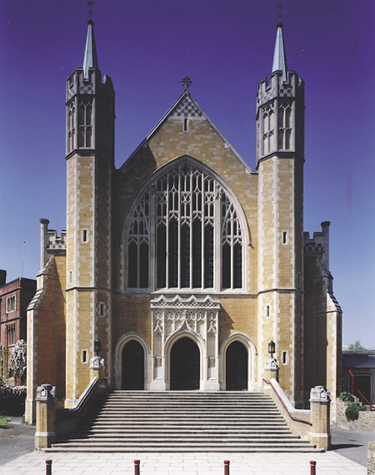 The Benedictine monastery at Ealing, in west London, was founded in 1897 from Downside Abbey. The original church was designed by the Scottish architect Frederick Arthur Walters (1849-1931) and was altered following bomb damage suffered in 1940. It was raised to the status of an Abbey in 1955. I was asked to measure the paint colours on the ceiling of the nave of Ealing Abbey in order to reproduce them. Papers and Paints specially matched the colours for the recent restoration.